﻿ East Fork State Park - Ohio. Find It Here. 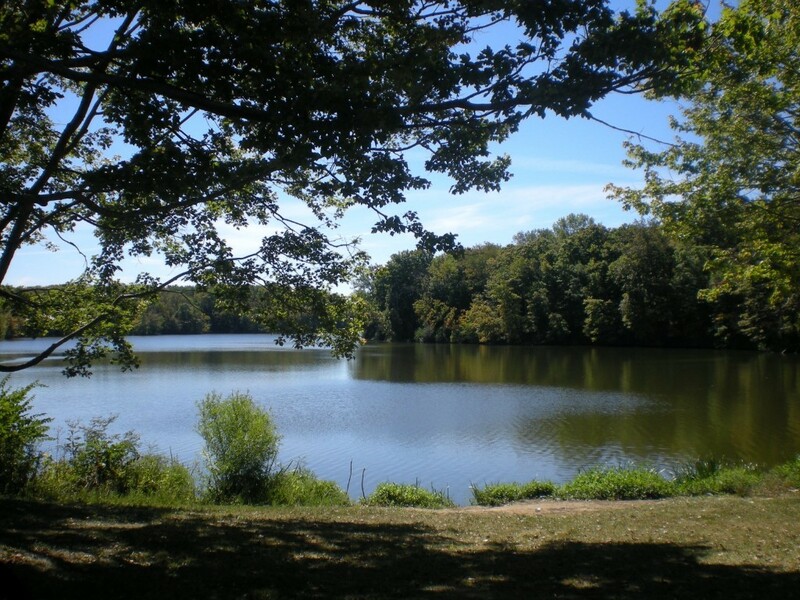 Located in southwest Ohio, the 4,870-acre East Fork State Park is one of the largest state parks in Ohio. The park offers diverse recreational and natural history opportunities only 25 miles from Cincinnati. Rolling hills, winding rivers and a large lake provides a beautiful backdrop for for a wonderful getaway. Located in Clermont County, East Fork State Park is characterized by a landscape shaped by the forces of the Illinoian and Wisconsinan glaciers. The East Fork region exhibits beautiful hill country scenery and is noted for the occurrence of remnant prairie habitats. Illinoian glacial deposits are not common in Ohio, but they can be observed at East Fork and the surrounding area.East Fork's diverse landscape includes dry-forested hills, rocky cascades, abandoned farmlands, thickly grown floodplains, marshy grasslands and swamp forests. This diversity lends well to an abundance of plant and animal life. Woodlands are composed of beech, sugar maple, red and white oak, shagbark hickory, and wild black cherry. The swamp forests contain silver maple, American elm, sycamore, and black gum. The meadows and remnant prairies contain big bluestem grass and purple coneflower among others.